Chinese smartphone maker OnePlus will definitely bring the 5G support to its new smartphone, but the smartphone will have a new series of smartphones through this smartphone. Last month, in October itself, OnePlus had said that it could launch 2 flagship smartphones with 5G connectivity next year. The company's CEO Karl Pei had reaffirmed this in the interaction with PC Mag and said that he is also talking to the US about launching a 5G smartphone next year. Will OnePlus 7 be the first 5G smartphone? Since then the discussions started to occur that the company's upcoming handset i.e. OnePlus 7 could be the smartphone which would support 5G, but according to a report by CNET Spain, it is not so. According to this report, Chinese smartphone maker OnePlus will surely bring a 5G support to its new smartphone, but the smartphone will have a new series of smartphones through this smartphone. This means that the discussions about the company's OnePlus 7, the 5G slots are hard to find. There is not much information available on the new series of OnePlus smartphones, but it is being said that the incoming device will have different naming schemes and designs. 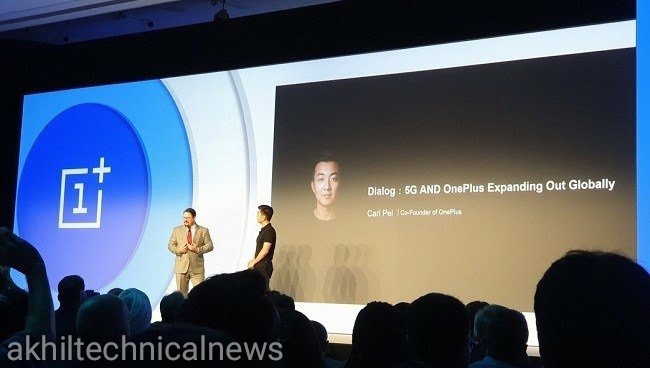 Explain that OnePlus will be among the early companies that will launch the 5G smartphone first. Oneplus will be challenged by companies such as Samsung and Huawei. These companies are already working on handsets with 5G connectivity.